Originally from India, basil is grown for its soft green or purple foliage and is wonderful fresh in pesto and many Italian dishes. This is page contains recipes using fresh basil. Mix basil, lemon peel and pepper on shallow plate until well blended. Place cream cheese in basil mixture; turn to evenly coat all sides, pressing basil mixture into cream cheese to secure. Cut cream cheese block horizontally in half; place one half on serving dish basil mixture side down. Sprinkle Parmesan cheese onto cut-side of cream cheese. Top with ham and second half of cream cheese. 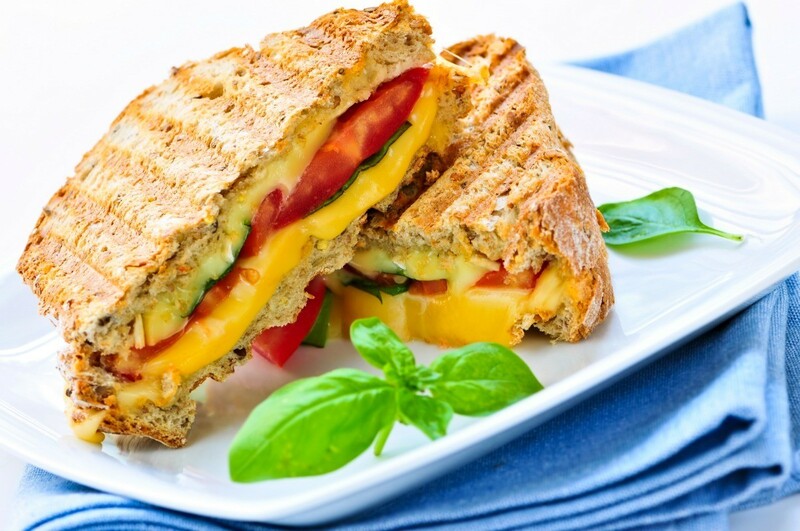 Serve at room temperature or microwave on high 45 seconds or until warm. Serve as a spread with crackers. With knife parallel to cutting board, cut slit along one side of each chicken breast to form pocket. Place 4 whole basil leaves in each pocket; press each breast closed. In small bowl, combine broth, chopped basil, lemon juice, pepper and garlic; set aside. In medium nonstick skillet, heat olive oil over medium high heat. Add chicken; brown on both sides. Pour broth mixture over chicken; bring to a boil. Reduce heat to low; cover and cook 7-8 minutes or until chicken is no longer pink in center. Note: Do not substitute dried basil in this recipe. 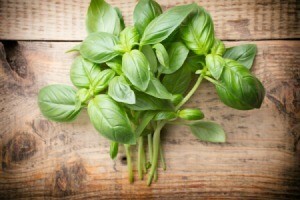 Fresh basil can be found in the produce section of most grocery stores. Try this delightful minty frosting on zucchini bread for a special treat. 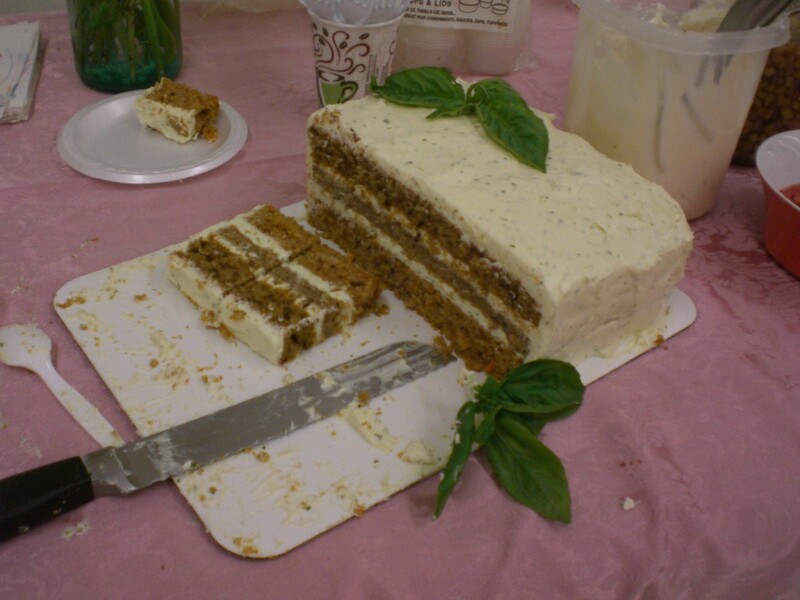 This guide contains an amazing recipe for garden basil lime frosting. 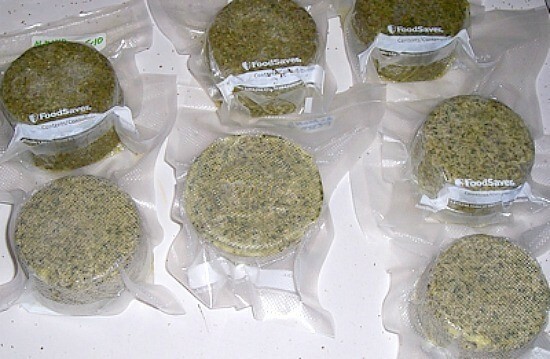 If you grow your own herbs, make up a large batch of pesto and freeze it for future use. This is a guide about make frozen pesto from home grown basil.